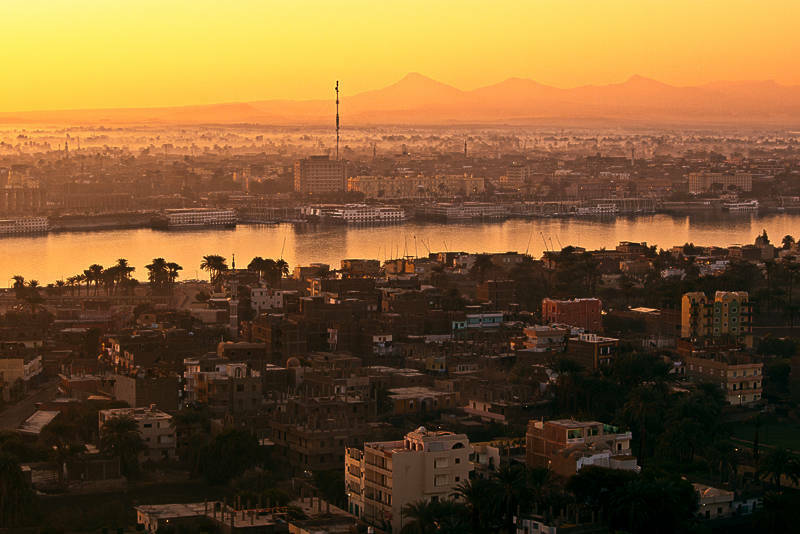 This sunrise was taken on a balloon flight over the west bank of the Nile near Luxor in Egypt. In order to compensate for the cameras White Balance Guess a colour balance layer was used to bring back the sunrise colours. An advantage of using this method is the Highlights, Midtones and Shadows can be adjusted individually. This means you can control the colours in the dark foreground and the bright sky separately. I love the warm light that fills the frame here..